Before the official presentation of the iPhone 7 in a few weeks. 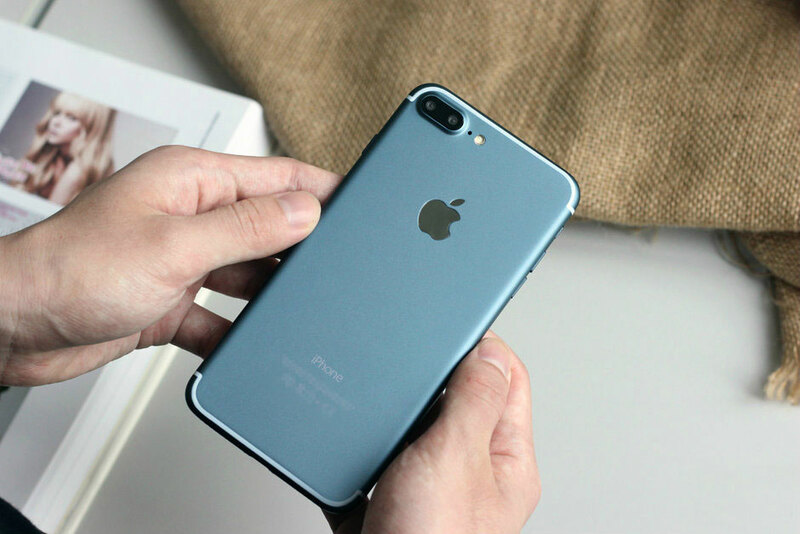 Many users are unhappy that the new product will resemble the design of the iPhone 6s, but a new generation of Apple’s smartphone will be much more interesting I think. 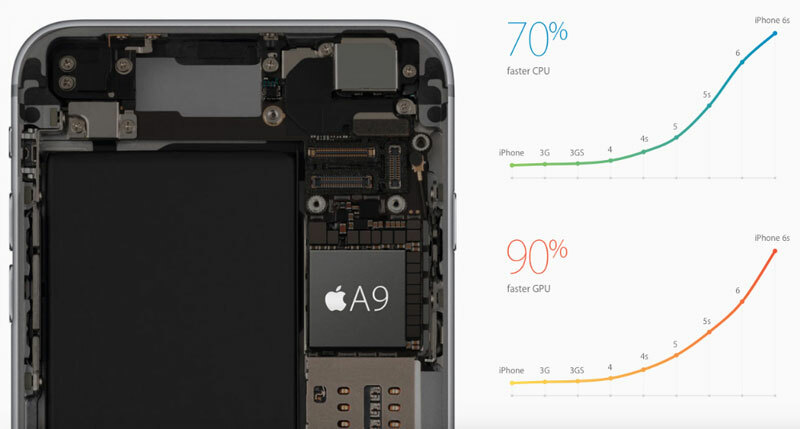 No doubt the iPhone 7 will get a faster processor, graphics, and improved camera. Most likely, Apple will announce it at the presentation, but the iPhone 7 will be the most productive device on the market. Why? Just look compare the performance of the new flagship Samsung Galaxy Note 7 and the iPhone 6s. Obviously, no manufacturer can not be compared with Apple when it comes to speed in real usage scenarios. 64-bit processor Apple series Ax significantly ahead of the competition. Moreover, such optimization software, Android manufacturers can only dream of. Last year, Apple said that the Apple A9 processor installed in the iPhone 6s, provided the increase in computation speed by 70% graphics and 90% compared to the iPhone 6. Anyone who switched from iPhone 6 iPhone 6s could replace the difference in the work. Played a role and increased the RAM to 2 GB. Since the launch of the iPhone 6s’s been almost a year, but no Android smart phone and couldn’t get close to the flagship Apple speed applications. On Apple’s official website describes 64-bit chipset of the third generation as the most advanced ever installed on smartphones that are able to offer 64-bit architecture of desktop computers” and “gaming performance at the level of consoles.” A year later, these statements still hold true. Just imagine: in September Apple will show new iPhone, which will be more productive than its predecessor. Still no premium Android smartphone could not be compared to the performance from the iPhone, and Apple knows it. The a10 processor in the iPhone 7 and iPhone 7 Plus will be even faster, because, as practice shows, each new iPhone is much more productive than the previous one. The authors of the publication SamMobile believe that the speed comparison between the iPhone 6s and Galaxy Note 7 does not reliably reflect the real performance.” Speed test says nothing about the actual performance of the smartphone, as no one will open 14 applications in a row and record video,” said the reviewers. This is true, one can run applications on its own. But when you open the app for the first time or returning to an already running iPhone will always be faster each time. This means that the user spends less time waiting, and instead just works with your mobile device. Of course, the owners of the flagship Galaxy Note 7 won’t know without a direct comparison with the iPhone 6s. However, this video points to a great future chipset Apple A10. If the A9 can be compared with the processor for a full desktop PC, then what about the a10. In SamMobile said that “Apple has done a great job optimizing hardware and software to together, they worked almost perfectly.” However, this is not an excuse for Samsung. What prevents the South Korean company to try to do the same? “Presents the performance test does not cover some really useful features of Samsung like multi window mode or an S Pen function Glance, which help users to work more productive and more comfortable due to the use of two apps on the same screen,” writes SamMobile. But what if the Galaxy Note 7 was working as fast as iPhone 6s? Isn’t that would improve the impression of the owner?